Disponibilidad: Only 5 left in stock - order soon. 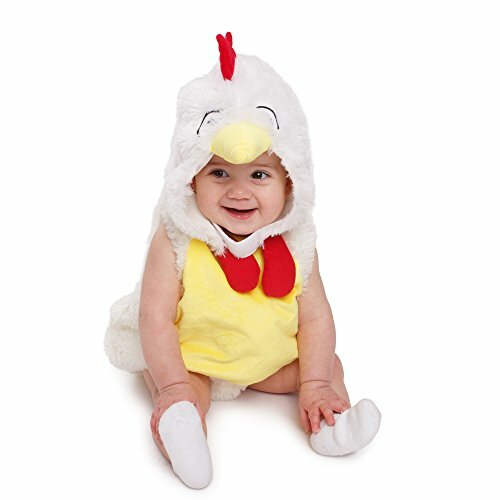 ► This Beautiful and loveable baby rooster costume comes complete with Bubble and Hood. ► Set packaged in durable snap-sealed poly bag. ► Baby stays warm and cozy in this Rooster costume. ► It is very soft and cuddly romper has a Yellow fuzzy belly and is comfortable wear for your baby. 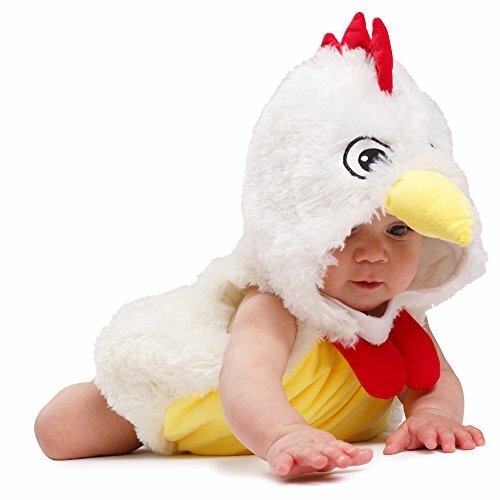 The plush chicken hoody is a wonderful costume for kids and it will keep your child warm and it can be also a loveable collection for Christmas, Halloween, and other costume function. 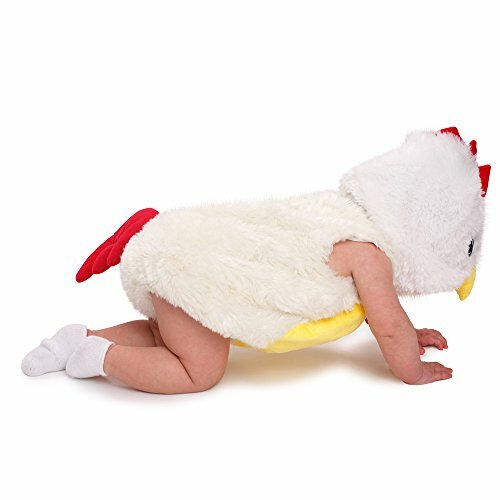 Chicken costume is soft, cuddly and has a Velcro closure. It is large enough to pull over warm clothes during cold weather. This costume feels smooth to your child’s skin and makes your baby free to move and play around. Made from polyester comfortable superior quality material, it is the most loveable costume collection. A baby's first costume is an important event, one that will be celebrated in lots of photos and in everyone's memories, which is why it's important to choose an outfit wisely. The perfect combination of attractive colors will attract kid’s eyes. It is easily washed and dried. There are 3 different size variations 0-6 Months, 6-12 months and 12-24 Months. ► It material is Soft, fluffy and comfortable. ► The perfect combination of attractive colors will attract kid’s eyes. We pride ourselves in offering only the highest in quality so please order with confidence. Being an authorized seller with thousands of satisfied customers, we are here to serve you. Please contact us with any questions. We appreciate your business.